Climb to the top of Fourvière hill, where the Théâtres Romains de Fourvière (Roman Theatres of Fourvière) looks down upon the city of Lyon. It is part of a UNESCO site with three fascinating ancient structures providing an opportunity to gain insight into Roman life in the region. The theater was built from the 17th to the 15th centuries B.C. by order of Augustus and could hold about 4,700 spectators. It was later enlarged under Hadrian in the 2nd century. In subsequent centuries, the ancient complex fell into decline and ruin. Following excavations in the 20th century, the theater was restored. Now visit to enjoy cultural events, including concerts, operas and dance recitals. As you enter the Roman complex, imagine the events that would have been held here in ancient times, including gladiatorial fights, poetry readings and tragedies. Visit the main theater where you’ll be struck by the scale of the site. During the height of its use, it was able to host 10,000 spectators. Investigate the smaller Odeon theater too, where poets and musicians showcased their new works to members of the Roman elite. Look for remnants of the original rich design, including inlaid geometric marble mosaics and porphyry on the orchestra floor. This Odeon is one of only two Roman theaters of its kind in France. 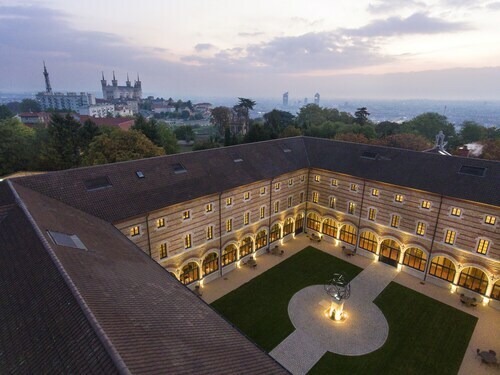 The other example is located in Vienne. Don’t miss the third and final structure within the complex. Located behind the main theater are the remnants of a Roman temple, which was dedicated to the goddess of nature and fertility, Cybele. While you’re at the top of Fourvière hill, complement your Roman knowledge with a visit to the nearby Musées Gallo-Romains, which houses a collection of remarkable ancient artifacts, including coins, statues and ceramics. During summer, the theater hosts an eclectic series of annual live performances as part of the Fourvière Nights festivals. Purchase tickets in advance. To get to the Roman Theatres, walk up the pathways of Fourvière hill or take the funicular from the Vieux Lyon metro station. The ruins are free to enter and are open Tuesday through Sunday. Private Lyon Gourmet Food Tour in a Tuk-Tuk is just one of the interesting activities available here. If you're looking for even more options, take a look at our Lyon things to do page. 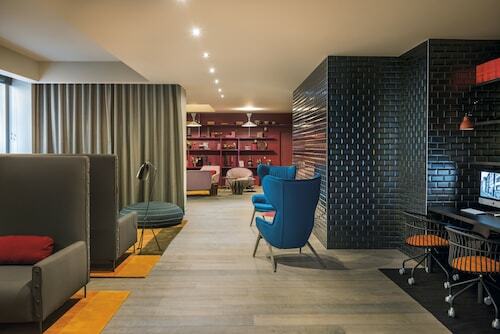 Located in Lyon City Centre, this hotel is within a 15-minute walk of Place Carnot, Lyon Confluence Shopping Center, and Textile Museum. Centre d'Histoire de la Resistance et de la Deportation and Bellecour Square are also within 1 mi (2 km). Suchet Tram Stop is only a 2-minute walk and Lyon Perrache Station is 5 minutes. 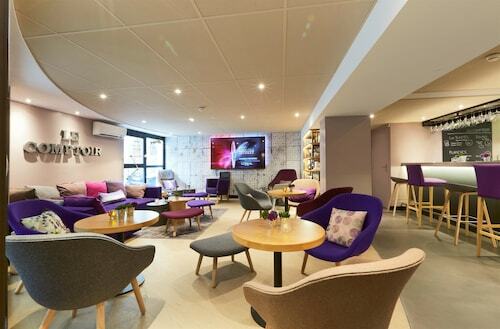 Located in Lyon City Centre, this hotel is within 1 mi (2 km) of Roman Theatres of Fourviere, Bellecour Square, and Terreaux Square (Place des Terreaux). Lyon City Hall (Hotel De Ville) and Lyon Opera are also within 2 mi (3 km). Vieux Lyon Station is 16 minutes by foot and Lyon Saint Paul Station is 18 minutes. 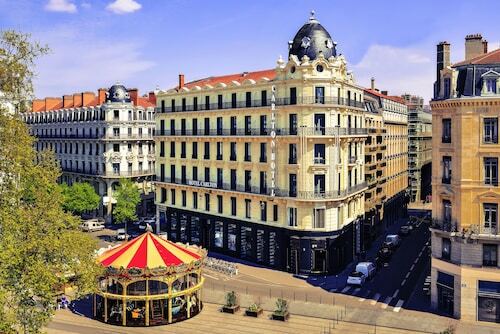 Located in Lyon City Centre, this hotel is within a 5-minute walk of Theatre des Celestins and Bellecour Square. Terreaux Square (Place des Terreaux) and Lyon City Hall (Hotel De Ville) are also within 15 minutes. Bellecour Station is 5 minutes by foot and Vieux Lyon Station is 8 minutes. 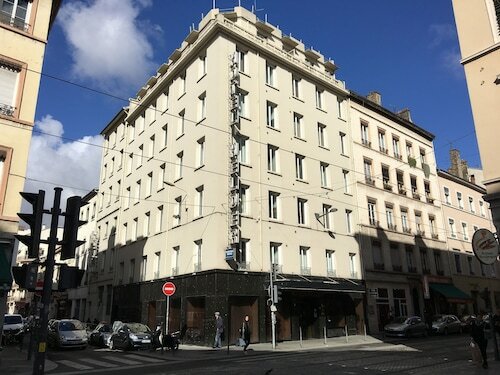 Located in Lyon City Centre, this hotel is within a 15-minute walk of Lyon Opera, Lyon City Hall (Hotel De Ville), and Terreaux Square (Place des Terreaux). Bellecour Square and Part Dieu Mall are also within 1 mi (2 km). Cordeliers Bourse Station is 8 minutes by foot and Liberte Tram Stop is 9 minutes. 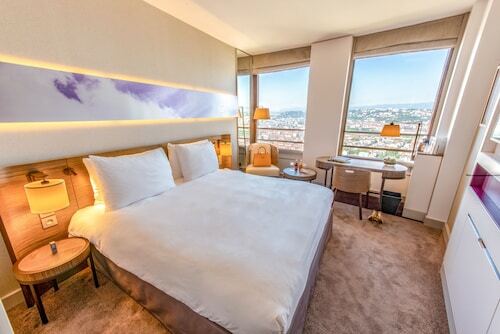 Located in Lyon City Centre, this luxury hotel is within a 10-minute walk of Place des Jacobins and Bellecour Square. Lyon Opera and Lyon City Hall (Hotel De Ville) are also within 15 minutes. Cordeliers Bourse Station is only a 4-minute walk and Bellecour Station is 6 minutes.